CTET-2014 Central Teacher Eligibility Test Feb 2014 Results Declared: -The Central Teacher Eligibility Test (CTET) was held on 16th Feb 2014 in different centers of all over India. The CTET Exams is conducted by CBES (Central Board of Secondary Education) for Teacher vacancies in various central Govt schools. There are many candidates applied for the CTET 2014 Examinations. And now all the candidates are waiting for their results. So as of now the CBSE has declared the results of CTET 2014. Download the CTET Examination 2014 Admit Card Online, CTET 2014:-CTET is known for Central Teacher Eligibility Test. 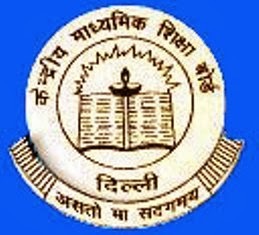 CTET is conducted by Central Board of Secondary Education Delhi. Every year the CTET Exams is held for to become teacher in various Central Govt. Collages. After qualify this test candidates should become teacher of 1 to 8th Class in various schools conducted by central governments. So the next CTET 2014 Examination will be held on 16th Feb 2014. And the exams will be held in all over India.